Join us for our spring Polka Party Sunday June 4th. 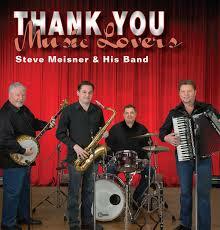 Music will be provided by Klancnik & Friends and the Steve Meisner Band. Ed Klancnik and the boys along with Steve Meisner and his guys are two of the top Slovenian Style polka bands in the country! The festivities will start at 1p.m. Along with music & dancing, food and refreshments will be available all day. Don't miss this musically packed day! Call Rick at 262-473-9879 for any further information. See you there! Make sure to join us for the first seasonal Packer game. WSLD 104.5 radio will be broadcasting live and giving away a pair of tickets to the home opener against the Detroit Lions on Sept. 25th. Lots of other prizes, drink specials and munchies! Fall dart league is coming fast. League meeting is here at Rick's wed. 8/24 at 7pm. We will be starting in a couple of weeks. Rick's is looking for another team to shoot out of here. Anyone interested please contact Rick at 262-473-9879 or 920-723-8575.It is cricket/301 and 4 person teams. Guys, gals, or both. Join us for all regular season Packer games. We feature the best drink specials in town along with free snacks at half time. Also prize drawings at the half. And make sure to get here before kick-off for a chance to win the Packer brick and drink for free!! Warhawk football is right around the corner. Join us here at Rick's for the games. We stream all home games and every away game that is available. No need to sit out in the cold. We have plenty of flat screens, food and refreshments to enjoy! Join us for Badger football also. You can catch all the Badger games as well as other Big 10 games here at Rick's! Join us Sat. April 30th from 2-6 pm for our spring polka party. We are featuring 2 great bands for this event. 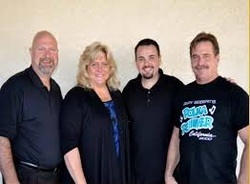 Seibert's Polka Power from California along with the Steve Meisner Band from Whitewater. It's been many years since the Seibert family has been to Wisconsin. This is sure to be a fun, music packed afternoon! And best of all..... admission is FREE! Call for any other information. Join us Sat. Dec. 12th for the UW-Whitewater Warhawks semi-final football game against Mt. Union. Kick-off is at 11a.m. We will open at 10a.m. Drink specials and our Bloody Mary Bar during the game. Join us at Rick's on Sun. Nov. 23rd for the Packers vs Vikings game. The Bud Girls will be here with some specials along with prizes and and you can play 99 Bottles Of Beer On The Wall to win stuff! Check our new menu items. We are now featuring some new entrée salads. Cranberry Mandarin Chicken, Seasonal Berry and Spinach & Santa Fe Chicken. Also, three Panini's done on our new Panini press. Tomato & Fresh Mozzarella, Roasted Turkey & Chipotle Chicken! We will be open for fish fry, spirits and fun on July 4th from 4pm. to close. Serving our regular fish fry from 4-9:30pm. Come and join us! Coming soon to Rick's. We are going to expand our tap beer system from 6 lines to 10 lines. This will give us room to add some seasonal beers along with IPA's and new crafts!!! All upcoming events will be announced here along with current specials and promotions. Check back often or subscribe to the RSS feed below.